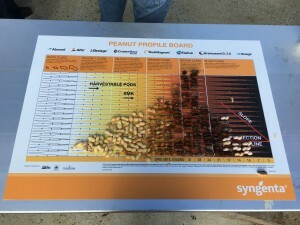 One of the most popular questions asked about peanut farming is, “How do farmers know when to dig their peanuts?” Farmers utilize the hull scrape method and peanut profile board to determine when to dig and the resulting yield and grade means cash to farmers. 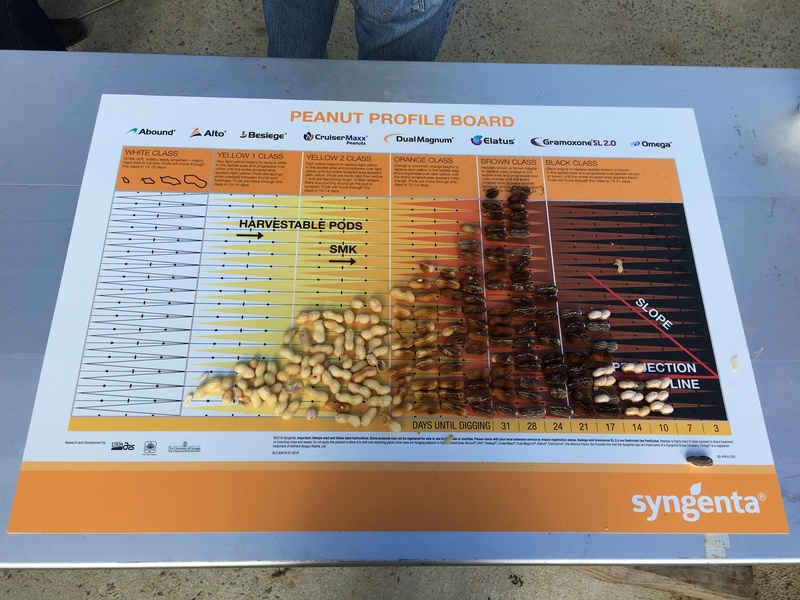 Farmers pod-blast their peanuts before placing the sample on the maturity profile board. 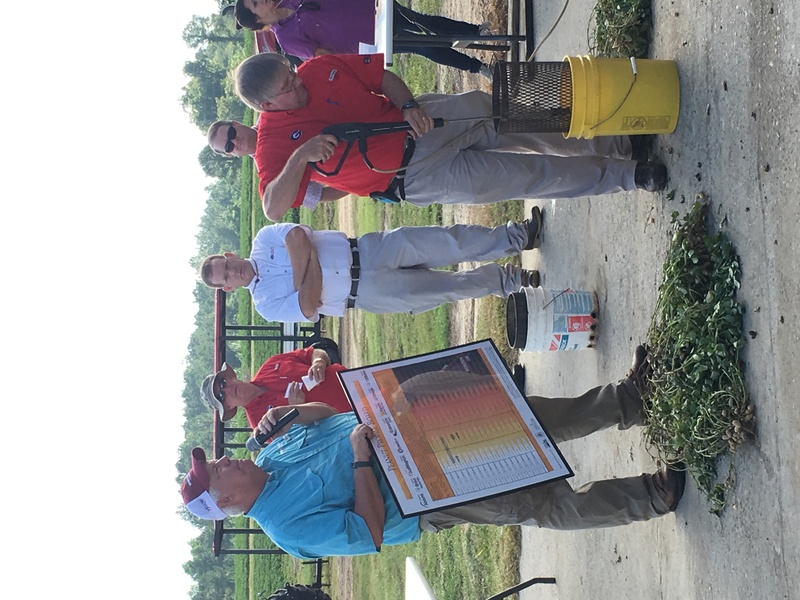 The pod-blasting process is a good method in mitigating peanut losses. 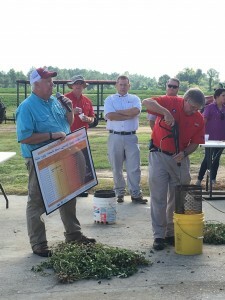 The board is colored coded from lighter colors to darker so researchers and extension agents can separate them via color on the chart to determine the number of days until maturity. Some peanut fields planted on the same date may mature at different times based on cultivar selection, soil type or weather patterns. Knowing when to dig peanuts can mean the difference between loosing and gaining 200 lbs. per acre. 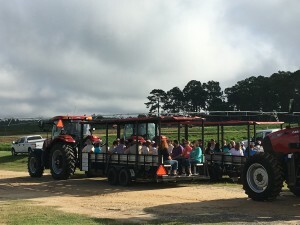 During the visit at the Lang-Rigdon Farm in Tifton, tour participants were able to see this process firsthand, as well as load up on trams and travel through the farm to learn about some of the latest peanut research being conducted at the University of Georgia. 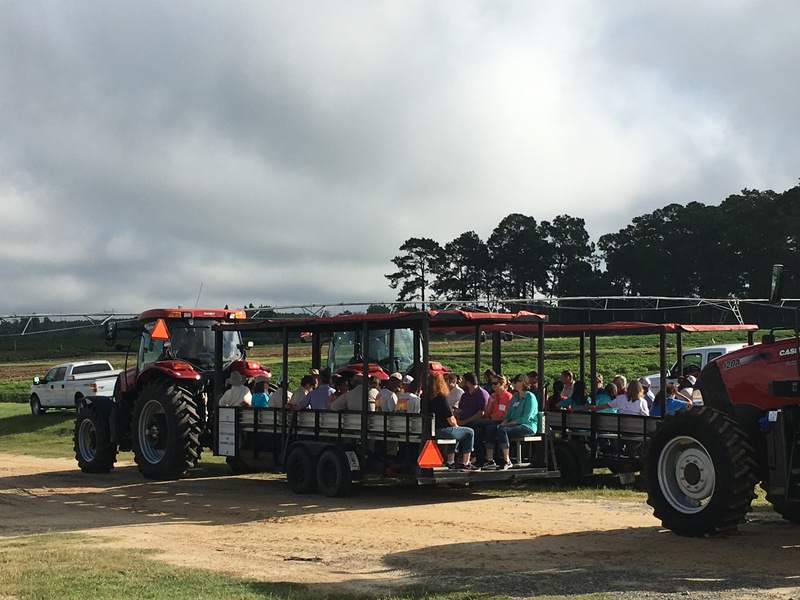 They also got a chance to hear more about some of the issues Georgia peanut farmers have faced in the 2016 growing season.